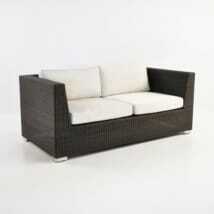 Versatility exemplified! 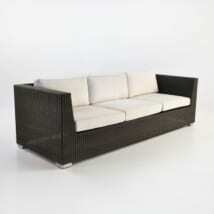 The Paulo Corner is just one of many stylish and functional pieces from the celebrated Paulo Sectional Collection! 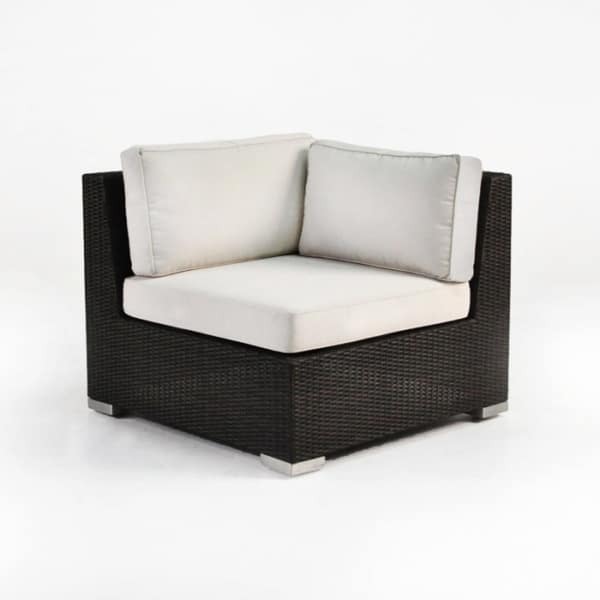 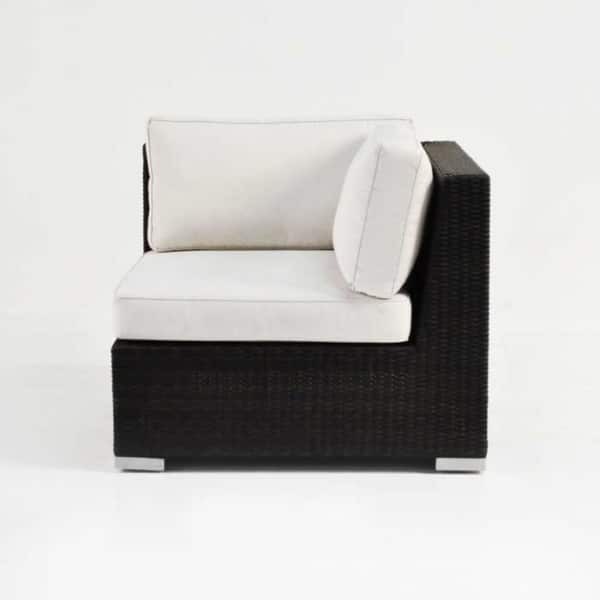 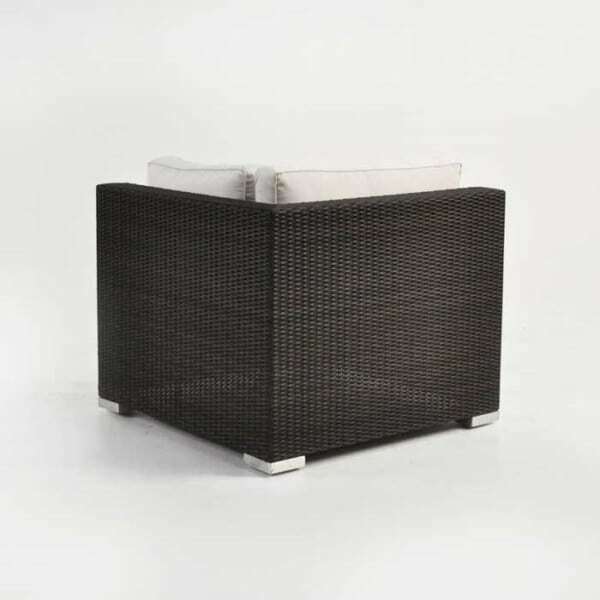 A succinct package; the Paulo Corner sits at 35 by 35 inches, completely cushioned; this attractive piece will provide use as an individual corner seat or as part of a brilliant setting with other pieces from the Paulo Collection! The Paulo Corner can act as the ends to Paulo Center pieces, creating elegant sofa units or as an integral piece in creating the popular ‘C’ and ‘L’ shaped configurations. Do you want to create a comfortable seating area but have a modest porch? 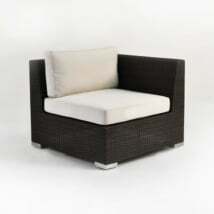 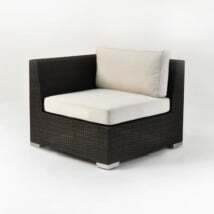 How about two Paulo Corners side by side as a stylish but economical loveseat. 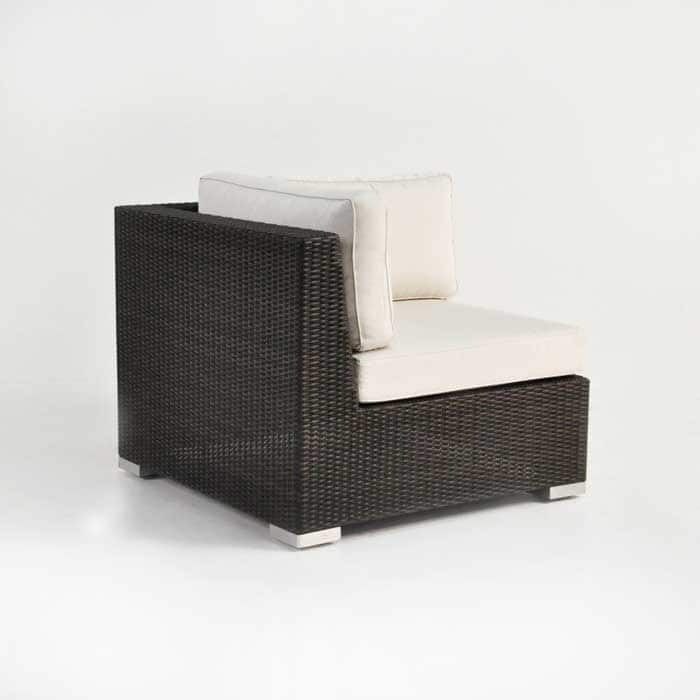 Perhaps you have a large space with room for an impressive setting? Design a long, opulent look with several Paulo Centers in a line, bookended with a Paulo Corner on either side and framed by one of our dramatic 11ft Sunbrella® Umbrellas in a matching color; you’ll want to spend hours outdoors! 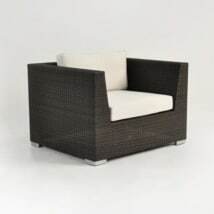 Made from a powder coated aluminium frame with dainty feet shining out of the bottom of a glamorous Viro® wicker body, and fitted with plush Sunbrella® cushions; all assuring an all weather product you will be proud to have in your home for years and years to come! 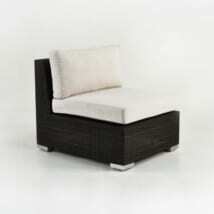 The Paulo Collection also features a: Paulo Left, Right, Center, Ottoman, Coffee Table, Loveseat, Sofa and Club Chairs.